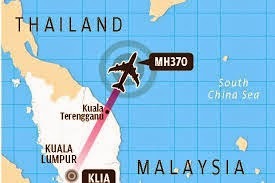 Members of a violent cell of al Qaeda-linked terrorists are being questioned in connection with the disappearance of Flight MH370, according to several British press reports. International law enforcement agencies, including the FBI and Britain’s MI6, asked Malaysian authorities to conduct intense interrogations of the 11 militants, who range in age from 22 to 55 and include students, business professionals and a young widow, the Mail newspaper said. They were all arrested in Malaysia last week. An officer with the Counter Terrorism Division of Malaysia’s Special Branch said the arrests have increased concern that terrorists may have taken control of the plane. “The possibility that the plane was diverted by militants is still high on the list,’’ the officer said. The official revealed that the suspects admitted planning “sustained terror campaigns in Malaysia,’’ but insisted their group had nothing to do with the plane. The Beijing-bound plane vanished two months ago with 239 people aboard. A massive hunt for the aircraft, which is believed to have gone down in the Indian Ocean, has turned up no wreckage.